Caleb watched as distant figures, shimmering like a mirage from the arid Negeb, gradually assumed familiar shapes, and he waited. It was his lovely daughter, Achsah, with her new husband. She was no longer under his protective care in the family compound near Hebron. She now dwelled with the one who had won her hand by his acts of bravery and courage—Othneil, slayer of giants, conqueror of Debir. Caleb wondered why they were coming. Over forty years before, Caleb, Joshua, and ten others, leaders all of Israel’s twelve tribes, embarked on a reconnaissance of the land of Canaan, one commissioned by the LORD through Moses. Their mission? Spy out the land, and its inhabitants. Were the Canaanites a people strong, or weak? Many, or few? Did they dwell in fortified strongholds, or tents? Was the land fertile? Were there ample forests for Israel’s needs? 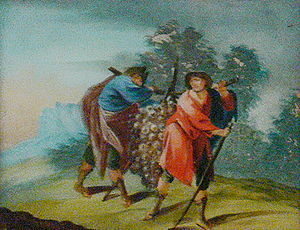 It was around the month of Elul, the season for the first grape harvest. What better time to bring back samples of the ripening fruit of the land? Above all, Moses exhorted them to be of good courage. Much depended on their findings, as would soon become evident. 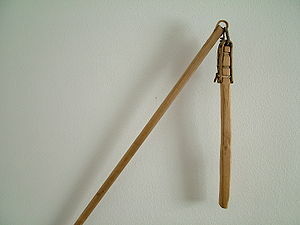 The twelve tribal emissaries set out immediately, and for forty days furtively scouted the land, covering some 300 miles before returning to their launch point, Kadesh-barnea. En route they saw date palms, pomegranates, ripening grapes, all thriving in abundance. There was ample pasture for sheep and cattle, and fields suitable for growing barley and wheat. Olive and fruit trees dotted certain regions of countryside. The coastline provided fishing, and perhaps even dye works. Canaan, indeed, was full of resources and promise. Its inhabitants, however, were an entirely different matter—especially the hulking sons of Anak! “We went to the land where you sent us. It truly flows with milk and honey,” the returning spies reported to eager ears. “Nevertheless the people who dwell in the land are strong; the cities are fortified and very large; moreover, we saw the descendants of Anak there.” Amalekites, Hittites, Jebusites, Amorites, and Canaanites—all formidable and well-armed—would have to be dealt with as well. With weeping and wailing, Israel turned on Moses and Aaron, demanding new leaders, and refusing to enter Canaan. Moses and Aaron, in shock and horror, fell on their faces before the unruly assembly, undoubtedly recognizing a grievous affront to the LORD, their Deliverer. Only two of the twelve, Joshua and Caleb, confronted the growing spirit of revolt, warning the tribes not to rebel against the Lord. They implored them rather to trust that “if the Lord delights in us, then He will bring us into this land and give it to us . . . .” Those words only moved the mob to violence, and cries of, “Stone them! Stone them!” filled the air. Little did the tribes of Israel realize that their own fates were sealed in the wake of that murderous intent. The LORD had had enough! Please read Numbers 13 for the entire account. I estimate that the trip northward was roughly 150 miles based on an atlas scale. The envisioned round-trip could have covered approximately 300 miles using that scale. Posted in Anak, Barley, Caleb, Canaan, Courage, Giants, Joshua, olive oil, Promised land, Rebellion, Spies, Tribes of Israel, Uncategorized. Bookmark the permalink. 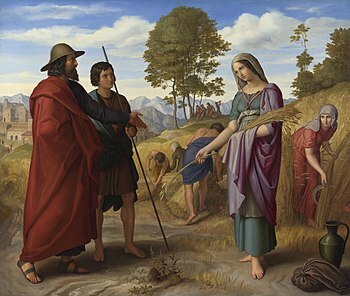 The first Biblical reference to a woman doing specific work (other than childbirth) refers to a task done four thousand years ago. 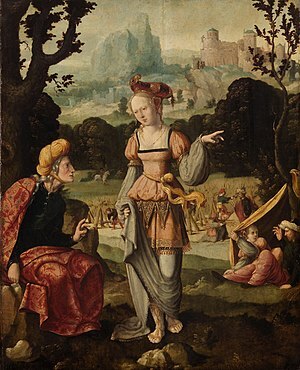 Abraham entertained unexpected guests, and Sarah made cakes for them. Women made cakes from meal, or fine meal (flour), and “roasted the dough in the ashes” or “under the coals” or on hot stones. The ancient people used four kinds of grain to make meal: millet, oats, barley and wheat. Sarah could have made cakes from any of the grains, although barley and wheat were preferred. 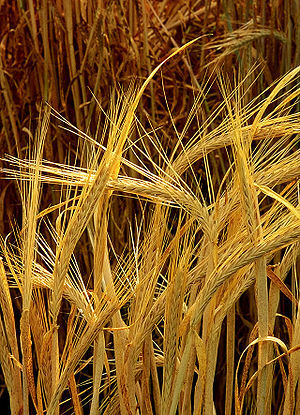 Barley meal made healthful roasted flatbread and became a symbol of Israel’s strength. Did Sarah know how to make raised bread from air-borne yeast? She might have. Historians believe that Egyptians “invented” raised bread about 500 years before the time of Abraham. How the Egyptians first discovered the activity of invisible air-borne yeast is not known. Was an Egyptian woman called away from mixing her dough long enough that yeasts began to ferment it? When she returned and found a slightly bubbly mess, did she throw up her hands and say, “I’ll have to bake it anyway.” It’s lost to us. It is likely that the Israelites learned to make raised bread while they were slaves in Egypt. At the time of Moses, Egyptians already had brick ovens and were capable of making raised breads in various shapes, a skill attested to by Egyptian tomb paintings. 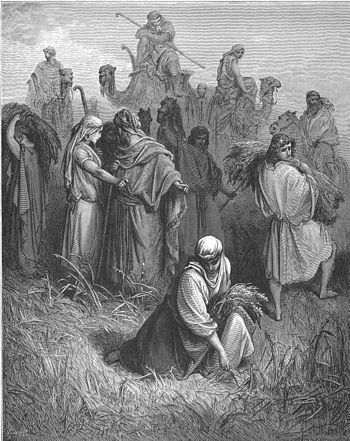 Earlier Hebrews, nomadic peoples like Abraham who lived in tents and followed their herds, “could not be bothered transporting such ovens through the land…either they parched the grain, like the reapers in the Book of Ruth, or they set flat cakes to bake” on a hearth or under coals. Adam Clarke states that Sarah made cakes on a hearth as was common among the Bedouin tribes. 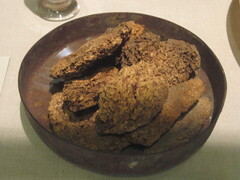 “When the hearth is strongly heated by the fired kindled on it, they remove the coals, sweep off the ashes, lay on the bread, and then cover it with hot cinders.” Commentators John Gill and Jamieson, Fausset and Brown agree with Clarke that Sarah made cakes from sifted meal and cooked them on a hot surface under embers. It is stated on some Jewish websites that flour made from any of five basic grains (wheat, oats, rye, barley and spelt) and mixed with water begins to be leavened by natural yeasts in 18 minutes. Orthodox Jews, who seek to avoid any chance of dough beginning to ferment, bake their Passover matzohs quickly. Wild yeast will begin fermenting sugar when it settles on hydrated flour. But it takes more than 18 minutes of yeast activity to achieve dough sufficiently strong for baking a sizable raised loaf. Peter Reinhart in The Baker’s Apprentice describes preparing an initial “seed culture” of wild yeast, flour and water over a period of one to four days. A small portion of this starter culture is mixed into a measure of flour and water to make a loaf of sourdough bread. After the dough is kneaded to develop gluten, it rests two to four hours as the yeast works. After resting, the dough is shaped and rises a final time before being baked. Ancient Israel had to leave Egypt quickly. After God administered the tenth plague, He wanted Israel out in a hurry. They couldn’t wait the hours to leaven, knead, shape, rise and bake their dough in Egyptian ovens. 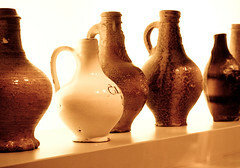 As stated in Exodus 12:33-34, the Israelites left with unused kneading bowls on their shoulders. Their daily bread was leavened but they didn’t have time to prepare it. Israel learned to make leavened bread in Egypt. Women baked it every day. It was a staple of their diet. Six Thousand Years of Bread, H.E. Jacob, p.35. Posted in Baking bread, Barley, bread, food, Grains for baking bread, Sarah, The exodus, Uncategorized. Bookmark the permalink.